Learn & Giggle Fish is rated 1.7 out of 5 by 3. 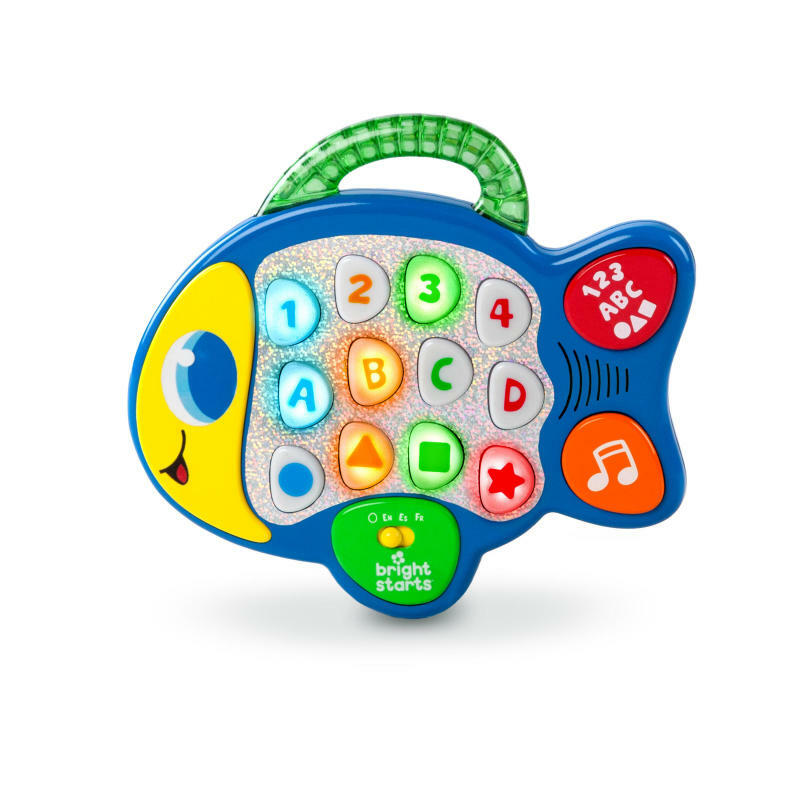 Press the red button to hear numbers, letters, and shapes; press again for colors. Dimension (in) 1.13" x 9.84" x 8.8"
Rated 3 out of 5 by Rebs from Great toy, but it broke quickly My child absolutely loved this toy, but after just a couple months, it would wouldn't turn on anymore. The batteries are fine, and sometimes it will try to turn on, but it will short out and quit working. Rated 1 out of 5 by Lunabears from Horrible!!! I bought this 1 month ago and at first my baby lived it.... However only 2 weeks later the letters, numbers and shapes started to come off. My baby's fingers and nails were all dirty from the ink they used. It seems like crayon it just rubs off. I'm very disappointed because my baby does like the lights and i like the educational aspect of it but come on use something different.